Charlie Beckett asks: How do you reach an audience to pay attention to your research or publications in a world where media power is shifting and the terms of communication trade are becoming more complicated and subjective? An old friend of mine who used to work in the ’80s as chief press office for an international NGO told me that if he could place a story in that morning’s Guardian newspaper then his work for the day was done. As it was the only paper his liberal internationalist bosses read then a name check in its hallowed pages was seen as ‘telling the world’ about their organisation. As he put it, ‘I could go down the pub for the rest of the day..’ Happy pre-Internet days. Can we have an honest conversation about the migrant crisis? Almost every day , we are bombarded with news media content that causes us to reflect on our role in the global refugee crisis, but we rarely stop to deliberate on what role the media itself should play. 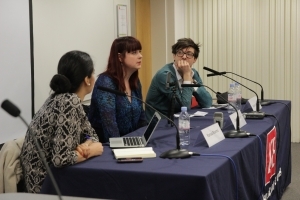 On 11 February, Polis and London Press Club hosted a panel of journalists to discuss the role of the media in reporting the migrant crisis and perceived success, failures and challenges in bringing this story home. 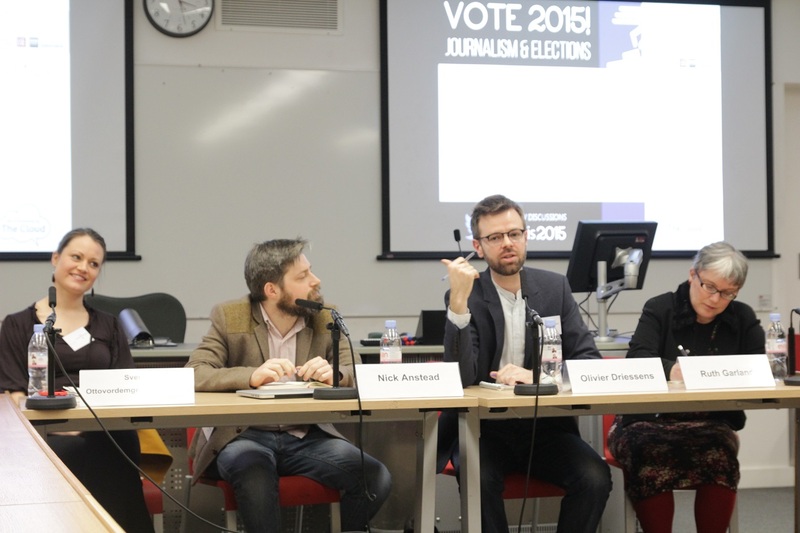 LSE MSc student Emma Archbold on the ‘New Research on Journalism and Democracy’ session from the Polis 2015 Conference, 27 March 2015. As one of the final lectures at this year’s Polis Conference, the discussion on new research gave an insight into how research on the relationship between the media, politics and the public can be practically applied. Olivier Driessens discussed his research into mediatisation, celebratisation and visibility. Motivating his research is an interest in the way media relates to and changes social processes, social relations and social institutions. His research on mediatisation raised questions that are prevalent during the current campaign season; Who has the power to define social reality? How can technological change better create or sustain new regimes of visibility? He spoke specifically on how politicians actively engage with the media in order to control information flows and the variety of representations they produce. LSE MSc student Sakshi Dayal on the ‘New Tools & Platforms: Twitter & Guardian’ session from the Polis 2015 Conference, 27 March 2015. New media has ma de its way into the very core of our daily lives. It is a forum that allows us to participate in discussions, voice our opinions, and most importantly, a source through which we acquire most of the information that enables us to form these opinions. 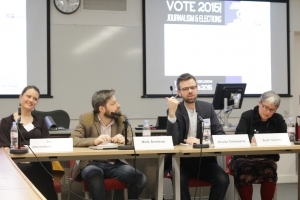 At the Polis journalism conference held on 27th March, 2015, Joanna Geary, Head of News Twitter UK, stated that Twitter’s potential to influence opinion would be especially important in the upcoming UK General Election. Young people aged 18-24 are the least likely to turn up and vote. A 2013 Cabinet Office study showed that young people living in communal establishments or private renters were less likely to register for voting. This especially applies to students who, in most cases, study in away from home and live on their own. So, often it is not just the fact that young people don’t feel a connection to politics, but there are other, more technical reasons as well.